Aegis is a royal collar. Adorned in tall dome spots with your choice of color rhinestone in between, this collar is simple, but not subtle, and will be sure to be admired by all who spot it. 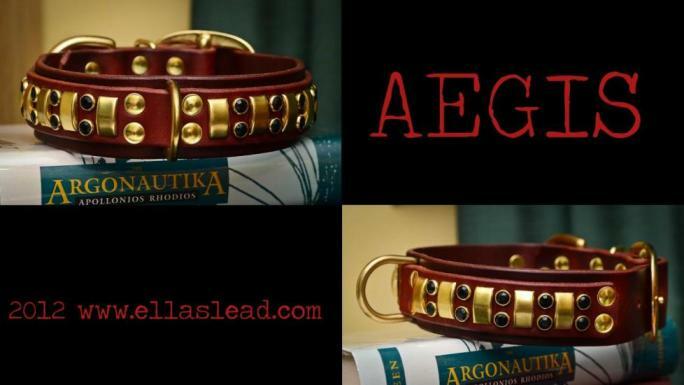 Aegis is a double leather collar offered in 1.25" and 1.5" width. Aegis will ALSO be offered as a single leather collar in 1" width only. 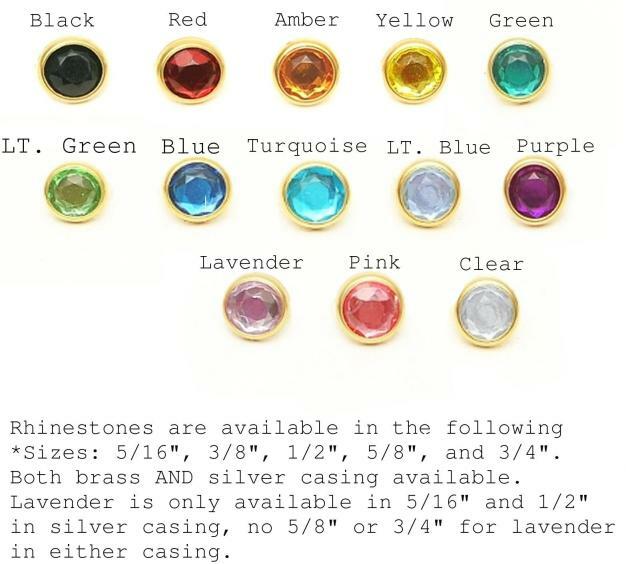 Aegis will be offered in brass or silver hardware and decor.